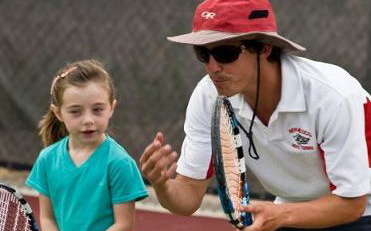 Become A Volunteer ANTS Tennis Coach! Most important to the organization and the kids are the ANTS coaches! ANTS has designed a Coaches Training Program that makes it entertaining for anyone. Our program easily translates tennis into one comprehensible message. You will learn the game of ANTS Tennis, the teaching/coaching philosophies behind it, and the practice/play formulas that are important for fostering positive learning, practicing, and competing environments! Through the ANTS training program you will learn everything from technical to tactical strategies, management and supportive roles, all the way to healthy habits/character counts curriculums. We utilize many tools to help train, and retrain coaches on new ways, ideas, and specifics to have a positive impact on America’s youth! ANTS Tennis ensures it’s all about what’s good for kids. ANTS' main goal is to keep kids healthy and playing a sport they can enjoy for their entire life. Interested? Start by clicking below and filling out our online application! ANTS Volunteer Tennis Coach Application. Apply Now! Most programs take place from 2:30 - 6:30pm. Coaches a responsible for transporting equipment to each of their programs. Note: If you fail to disclose any information or give false answer you may be disqualified. A "yes" answer does not automatically disqualify you, as decisions are made based on offense. Have you been a part of any other youth organizations in the past? If so, please tell us about your experience. Please list the names, occupations and telephone numbers of 2 people. One should be a professional reference. Your references should know you well enough to provide us with sufficient information. References will be contacted. Please describe any other organizations, clubs, etc you have been involved with that included children. Are you fluent in multiple languages? If yes, please specify below. Thank you for applying to become a Volunteer ANTS coach! Interested in becoming the volunteer coach for your child's team? Please click below.